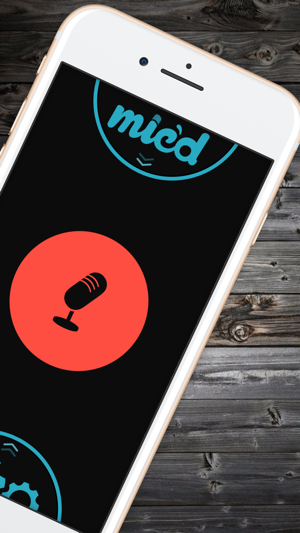 Mic'd is the beautifully simple recording app that was made with the Apple Watch in mind. We cut the clutter so that nothing stands in the way of you and the recording you're about to make. * Use your watch as a remote to control iPhone recording and playback directly from your wrist. 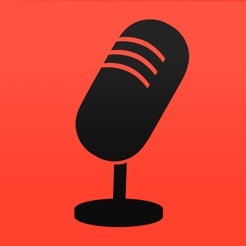 Mic'd for iPhone stands alone as a recording gem. With the Apple Watch, the things you can accomplish are limitless. Never again miss the moments in life that matter most. Happy recording. Mic'd does not need the watch at all. It works just wonderfully on it's own. If you do have a watch, however, then from your wrist, you can tell your iPhone to start and stop recording. Then you can tell your iPhone to playback those recordings. So many fun things to do when using your watch as a remote. But the watch is also a great standalone device. 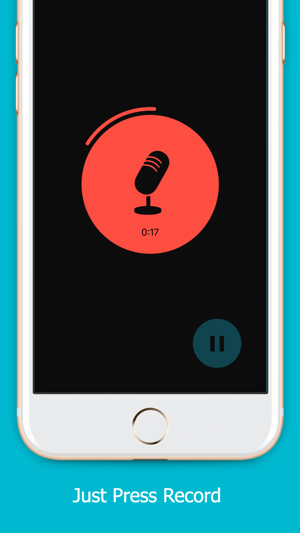 You can record and playback audio without even having your phone around. If you just want to know if your phone is recording or paused, just glance at your watch. Then start or stop it again with a tap. 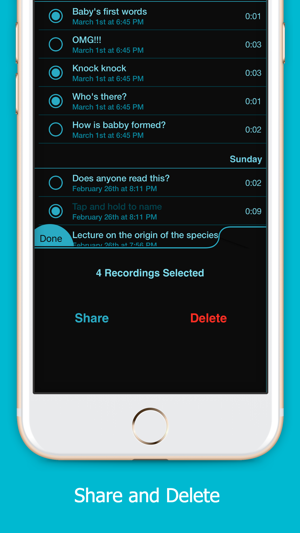 Easier than ever to share or export your recordings. They sync across all your devices. 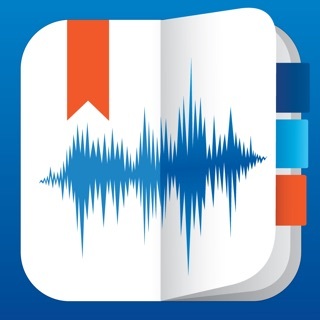 I wanted to find a recorder mostly to use with the Apple Watch for quick reminders on the go. I tried a couple of other apps before I found this one and am very pleased with it. First and foremost, you do not have to enable iCloud Drive or an internet/WiFi connection to use the app. You can use it to record stand-alone on the watch or record messages from the watch to the iphone. I can record - playback and delete quick voice messages from the watch itself. Of couse you can also use the app directly on the iphone but that was not my main interest. Also it has a Watch Complication, so you can add it to your watch face for quick access. Definitely happy with this app. 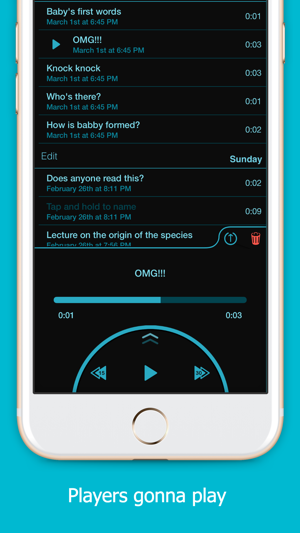 Great app, but more accessibility needs to be improved. I am absolutely loving this app and it’s update. However, accessibility needs to be improved. For example, the Watch companion app only says button, instead of record button. Also, the two buttons to select between phone or watch needs to be labeled as phone button selected or watch button selected. That’s just an example of some of the improvements that need to be addressed in future app updates. Overall, nice job and keep up the good work. 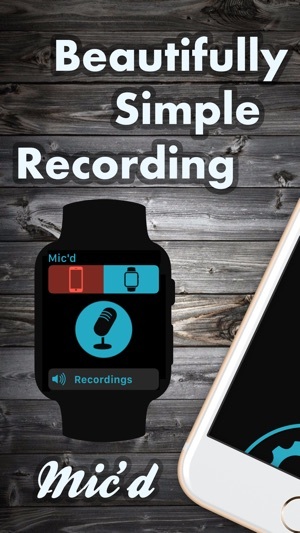 This app does something all others do not: let's you initiate recording on iPhone but from your Apple Watch. The only reason I'm not giving it a 5 is because supports seems to be non existant and playing back audio recordings done on external mic doesn't sound right. Their website site also does not work and is out dated, and in-app email does not work. Other than that; it's an incredibly useful app that is beautiful in its simplicity.